This cinnamon roll recipe created the fluffiest, most buttery cinnamon rolls ever! While they may take a little bit of time to make, the result is so worth the effort! 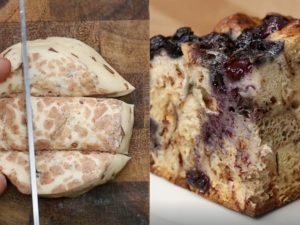 The extra soft dough puffs up beautifully as it bakes and the cinnamon spread melts perfectly into the dough. While these cinnamon rolls are just heaven when eaten directly from the oven, while still hot and extremely fresh, they do keep well for about a week if wrapped and stored at room temperature. Get ready for one of the most delicious breakfasts you will ever make! In the bowl of a stand mixer, combine the warm milk, yeast and the 1 teaspoon sugar. Stir briefly and let the mixture sit for about 5 minutes or until the yeast is foamy. 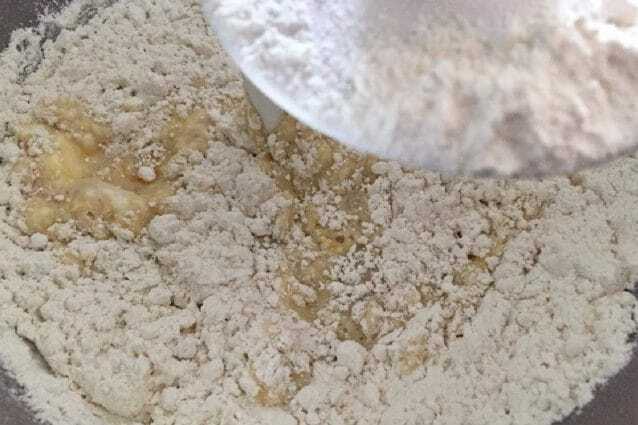 Add the remaining 1/2 cup sugar, 1/2 cup of the softened butter, salt, and eggs to the mixer and mix with a dough hook attachment to just stir everything up. Add about 2 cups of the flour to the mixer and mix on medium speed until a loose batter forms. Add the remaining flour and mix, allowing the dough to come together (may take about 10 minutes). The dough should be pulling away from the sides of the mixer and forming a nice soft ball. If the dough still looks too wet, add more flour slowly until a dough ball forms. Place the ball of dough in a large, greased bowl. Cover and set the bowl in a warm place to allow the dough to rise for an hour and a half. While the dough is rising, combine the remaining 1/2 cup of softened butter, cinnamon and brown sugar in a small bowl. Stir to mix- this will be the cinnamon spread for the rolls. Once the dough is double its original size, pat it to deflate and turn it out onto a floured surface to roll. Roll the dough to about 1/4th of an inch thick, keeping it in a rectangle shape as you roll. offset spatula, spread the cinnamon butter mixture evenly across the entire surface of the dough, making sure to get the spread all the way to the edges. Roll the dough from the bottom to the top, making a long log. Use a serrated knife to cut the dough log- each cinnamon roll should be about 1 1/2- 2 inches thick. Place the sliced cinnamon rolls into a greased cake pan in a single layer. Cover the pan and place somewhere warm, allowing the dough to rise again for about 30 minutes. Once the cinnamon rolls are again double their size, bake in a 350 ̊F oven for about 20-25 minutes or until the rolls begin to brown on the top. Remove from the oven and allow to cool enough so you can touch the pan. Flip the doughnuts out onto a plate. Make the icing by mixing the powdered sugar and milk together in a small bowl then drizzling over the top of the cinnamon rolls. Enjoy while warm!